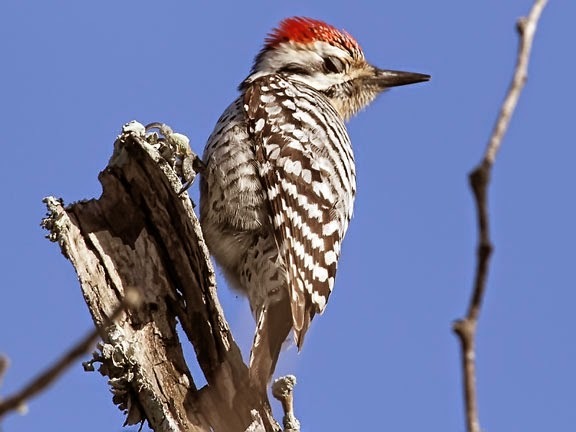 The ladder-backed woodpecker is a small woodpecker that is fairly common in the southwestern United States, Mexico and northern Central America. 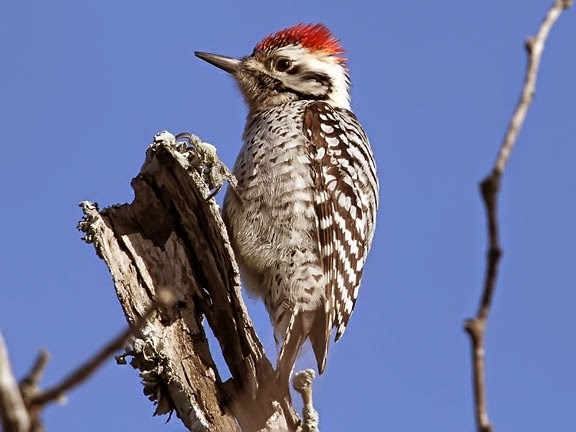 The ladder-backed woodpecker is a year round resident in these areas nesting in cavities in trees and cactus. They are typically found in desert scrub and thickets although, according to Cornell, they are found in Pinelands in Central America. 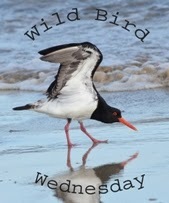 I have only photographed these birds on visits to Texas, where their numbers are in decline. This bird was foraging among dead trees in a city park. Ladder-backed woodpeckers are insect eaters that get their food primarily from gleaning it from the bark or plying the bark off and eating the insects underneath. They are rarely seen excavating holes in search of prey. HI ell i have never heard of this Woodpecker and doesn't he look wonderful. Great clear photos. Looks like the wood on which he's perched! Wow, a razor sharp capture! I get to see these beautiful birds around Austin quite a bit. Your photos are outstanding!